Thanks for stopping by the Discover Veracruz Tours Media Center! 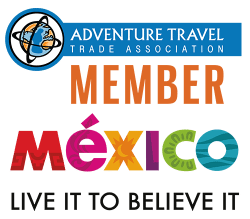 Mike Vondruska and his staff are here to help you, the media, to create a more positive spin regarding this mostly untouristed México state by foreign travelers. We can help you with interesting local stories, provide photos to accompany your articles, give you updated positive travel guest testimonials, story content via videos, and even arrange for you to come and visit this geographically diverse Gulf of México coastal state where you will discover its history-soaked tales of foreign invaders and its cultural mixture of Indigenous, African, Spanish, Caribbean, and Cuban influences.